Gum disease starts with something called gingivitis and, if not treated, it can develop into a condition called periodontal disease. This affects the tissues that support your teeth and hold them in place. Not only can it be very painful, but it’s impossible to cure and expensive to stabilise. Unfortunately, any delay in diagnosis can have serious repercussions; physically, emotionally and financially. To keep you informed, we’ve picked out some of the key facts about periodontal disease and what to do if you think your dentist may have missed it. Sadly, there is also NO cure for periodontal disease. However, it can be stabilised with regular visits to a hygienist or a more specialised expert. Unfortunately, this can cost around £300 per visit. How will I know if I’ve got periodontal disease? • Red and swollen gums that may be highly painful and bleed when brushing or flossing. • Bad breath that won’t go away – this is because periodontal disease causes ‘pockets’ in the teeth and gums which trap food and bacteria, which can then omit a foul odour. • Painful abscesses that discharge pus, which is released when your gums try and fight the bacterial infection. • Loose teeth… that may even fall out! It is your dentist’s responsibility to monitor your periodontal health during regular dental check-ups, which they do by taking ‘BPE scores’ and assessing the health of your gums. 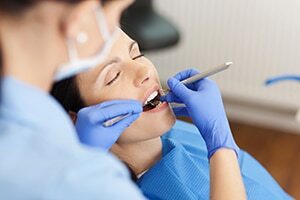 If your dentist finds that you are suffering periodontal disease, they should provide you with an appropriate diagnosis and treatment for infections if and when they develop. What happens if my dentist failed to diagnose periodontal disease? If your dentist fails to diagnose periodontal disease, the infection can continue to develop and attack the gum and jaw bone. Without treatment, the disease can lead to the loss of bone in the jaw which holds the teeth in place. As periodontal disease often affects areas in the mouth rather than individual teeth, several teeth can be lost at once as a result of the failure to appropriately diagnose and treat the condition. If you suspect that you may have periodontal disease, it is vital you seek dental advice. If you are worried that your dentist failed to diagnose periodontal disease, please do seek a second opinion. Delays in diagnosis allow the disease to progress; a few months can make the difference between losing or retaining teeth. Unfortunately, the Dental Negligence Team has noticed a steady increase in the number of claims for failure to diagnose periodontal disease. We therefore understand how sub-standard care can have huge consequences; physically, emotionally and financially. We hope that when people receive any type of negligent dental care they understand that they have the right to ask why, and if necessary hold those responsible to account. If you believe that you or someone you know has received poor dental care then please get in touch today and discuss your options with us for free.